My middle child is most often the one who bears the brunt of my frustration. Our older boys (twins) are special and unique because they’re twins. Our youngest is a pumpkin and loved by everyone. But our poor middle one tends to be the toughest of our four children to love and parent well. For the past eight years, he has been the toughest relationship in my life. We all have tough relationships in our life. It might be your spouse, one of your children, a co-worker, a small group member, or someone else in your family. Reality is that we all have someone who’s tougher to love than others. Before I move forward, take 30 seconds to pray for this person. Pray now that you would see them, love them and care for them like Jesus sees, loves and cares for them (Seriously, like right now before you read the next paragraph, pray for this person and your relationship with them). I learned how to better care for my middle child by watching Jesus in Mark 3:1-6. In this passage, we see Jesus healing a man with a withered hand on the Sabbath. The Pharisees were there in the synagogue, looking to see if Jesus would break the law by healing on the Sabbath. You and I think, “So what! Healing on the Sabbath?!?!?! Big deal!” But for the Pharisees this would be a violation of Exodus 31:14-17 and they looked for any and every reason to dislike Jesus. I just don’t get these guys. Jesus heals a man with a withered hand. He helps him. He helps take away this man’s shame and deformity. He makes his life immeasurably better and allows him to have a quality of life and relationships like he never had before. Yet, the Pharisees are mad at Jesus and even plot to kill him (v.6) because he broke an Old Testament law. Here’s one thing I think is truly amazing about Jesus: the way He loves and cares for the Pharisees in spite of their hatred of Jesus and their own hardness of hearts. If you look closely at Mark 3:5, you see Jesus has two reactions to the Pharisees. He looked around at them with anger and was grieved at their hardness of heart. I don’t usually bust out the Greek text, but in the original language, we see a fascinating picture of Jesus. The way the original text is written, it says Jesus was angry at the Pharisees for a moment, but was grieved for them on an ongoing basis. Some translations might say he had compassion on them or was sad for them on a continual, ongoing basis. I don’t know about you, but when someone makes me frustrated, I tend to be compassionate for a moment and then angry on an ongoing basis. In other words, I act the opposite of Jesus. Instead of being angry for a moment and compassionate moving forward, I tend to work the other way around. I often act this way with my children, especially my middle child. I look for ways where he messes up (much like the Pharisees were looking to catch Jesus on the Sabbath, Mark 3:2). I am grieved for a moment and then frustrated on an ongoing basis with him. What if the opposite were true? What would it be like if you and I were angry for a moment at someone who wronged us, and then lived with ongoing compassion and sadness for them? Wouldn’t that change the way you care for them? Wouldn’t it change the way you loved your child? 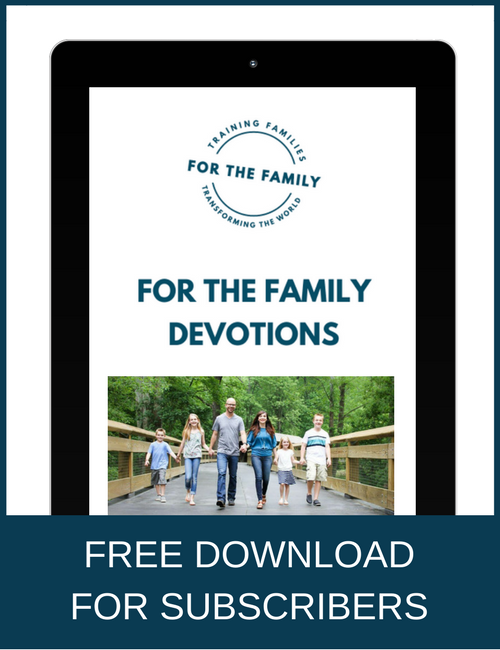 Wouldn’t it lead you to more quickly forgive your spouse instead of carrying roots of bitterness around with you? The last few weeks I have prayed and worked in a new way with my middle child. I don’t look for him to mess up. I pray for him on a more consistent basis. I am sad for him when he sins. We communicate better and are more affectionate than we ever have been. It’s been a sweet few weeks with my middle child. I don’t know if it’s primarily because I have started to apply this principle from Mark 3:1-6. I really don’t care about what’s caused it, but I do know I have loved my son and cared for him in a more compassionate way (with less anger) than ever before. How about you? Who’s the person in your life that’s tough to love? The one who sins against you or others on a consistent basis? 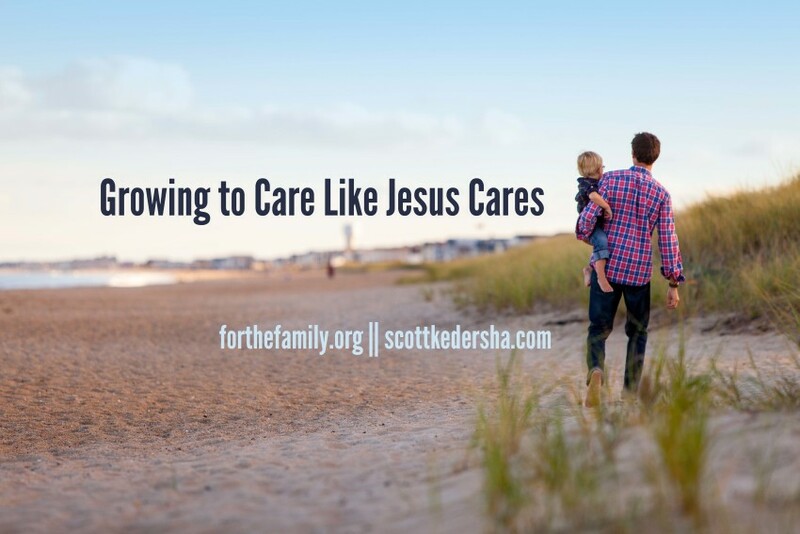 What would it look like for you to love them and care for them like Jesus cared for the Pharisees and in the same way He still cares for you and me? 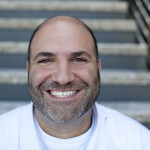 Scott Kedersha is the Director of Singles at Watermark Community Church in Dallas, Texas. 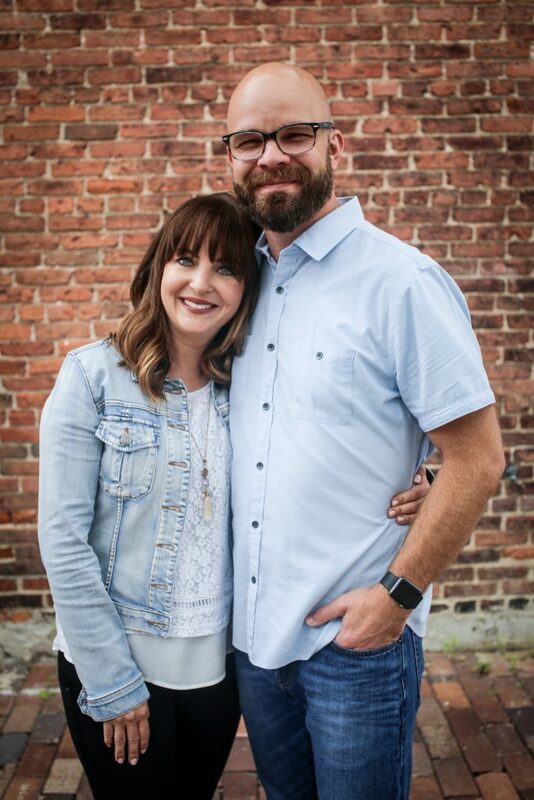 For almost a decade, Scott has helped lead Merge, Watermark’s premarital ministry, which is geared towards preparing seriously dating and engaged couples for marriage. He’s been married to Kristen since 2001, has four boys and blogs on marriage and family, ministry and premarried relationships at Scottkedersha.com. He is most passionate about the local church, college football (Go Wake! ), marriage and family, community and reading. You can find Scott on his blog, Twitter, Facebook, or Instagram. Scott- I so needed to read this today. Total confession- our sweet new addition brings out in me the same type of frustration you have with your son. I know I need to love her through our tough moments like Jesus loved- but so many times I find myself deep in the sins of anger and frustration. Thank you for encouraging me to pray for her and for our relationship, and not look for her to mess up but see her and love her through God’s eyes. So thankful this morning the Lord used your words to inspire deep change in my heart and in my relationship with our sweet girl. Thank you friend! Thanks, Sherry. Appreciate you sharing this. It seems especially tough with kids, right? Sometimes I expect them to act like adults should act or like I would expect myself to act. Glad Jesus’ words in Mark 3 were a good reminder and challenge for you today! Praying now for you and your daughter. You guys are great parents. Ohhhhhhh Scott!!!! You’ve gone from preaching to meddling as my old preacher used to say. Very good word that challenged the way I look at and interact with a difficult person in my sphere. Thanks for sharing not just your parental experience, but Jesus’s handling of the Pharisees. Thanks Steve. Amazing how well Jesus loves the Pharisees in the midst of their questioning and plotting. Challenges me like crazy. “I don’t know about you, but when someone makes me frustrated, I tend to be compassionate for a moment and then angry on an ongoing basis. In other words, I act the opposite of Jesus.” Apparently you do know a lot about me (us), Scott. Great post and reminder — especially in light of the “mandate” we remember on Maundy Thursday (John 13: 31 – 35). Sometimes it’s hardest to love those closest to us. Thanks, Wes. Good encouraging word on John 13 today. Jesus’ example truly blows me away when I see how he patiently and lovingly responds to the Pharisees.